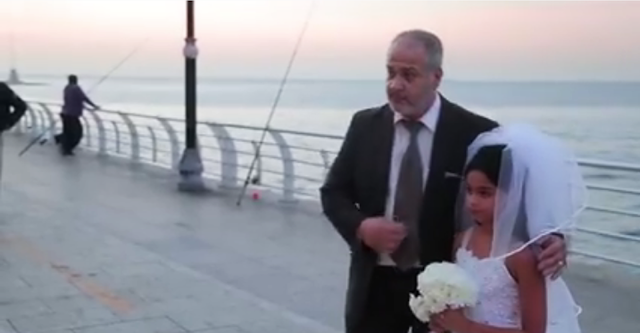 A powerful stunt by the NGO KAFA (enough) Violence and Exploitation denounces child marriage in Lebanon. In Lebanon, the law is not the same for everyone. When it comes to marriage, for example, sectarian “Personal Status” laws take over. 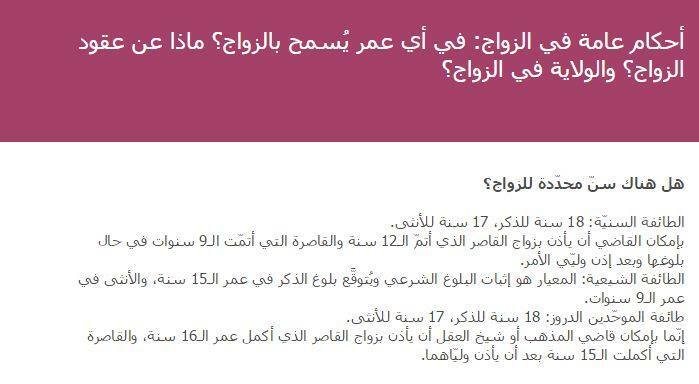 A Lebanese citizen’s “Personal Status” is linked to his or her religion and sect. And it’s different for each one (see charts below). 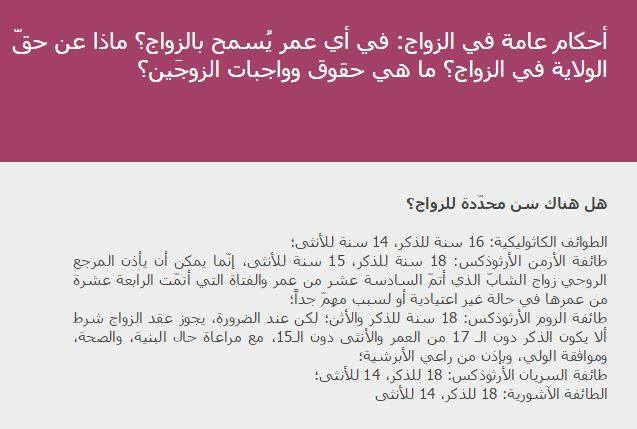 In some cases, it’s legal for a man to marry a little girl as young as 9. In the video posted by KAFA on social media, the people's outraged reactions are genuine and show a growing discontent with these “Personal Status” laws. Charts from KAFA's Facebook page.